When you need speedy home computer service in the form of a good old fashioned cleanup, our repair techs will arrive to clean your computer hardware and software. 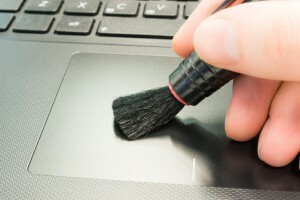 If your computer needs some spring cleaning, our mobile repair technicians can come to you to blow out and remove dust and debris from your computer, laptop, or other electronic device. As your computer runs, it collects dust and debris from the air in your home or business, and over time this dust can degrade the performance of your computer and reduce its lifespan. If it is the operating system of the computer itself that needs to be tidied up, we will clean out your operating system of any unnecessary apps and files to maximize your performance and free storage space. Our team provides fast computer cleaning service at an affordable price. 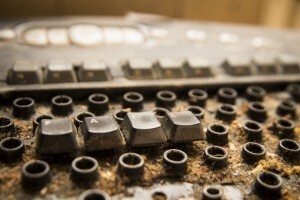 By taking the time to carefully remove dust and dirt from your computer’s vents, fans, buttons, and ports we can help prolong the life of your device and prevent overheating, drive failures, and other mechanical problems. We can schedule in-home appointments five days a week, within four hours if you call before noon. We also perform calls on weekends by special request. With the preventative support services of PC Fixer, you can save yourself the expense of buying an entirely new machine. We provide quick servicing and cleaning for all your electronics. Our expert repair service team can address your problems right in your home. We can check for serious problems and provide you with the home computer service that will save you money in the long run. Take the time to protect your investment. Wherever you are in the Los Angeles region, PC Fixer will provide exceptional home computer service and do the work while you wait. Our fine technicians will focus on addressing whatever problems you have. Clean and dust keyboard, mouse, printer, etc. And any other support service your computer might need! Call PC Fixer today at 310.948.0588 and one of our friendly and attentive experts will be at your door in short order. Please also feel free to email us at info@pcsfixer.com and we will respond to your inquiry promptly.